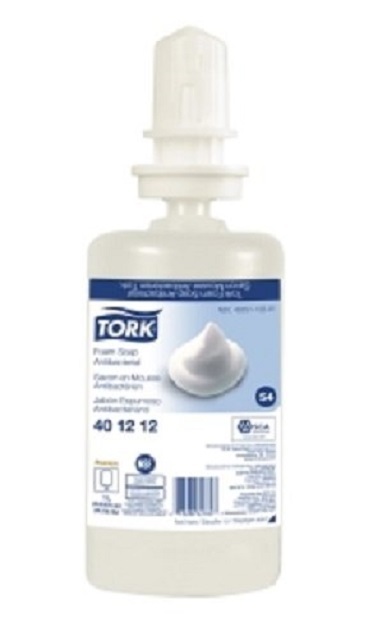 Tork Foam Soap Extra Mild SKU 401211. The affected product comes packaged as a 1 liter (33.8 US Fl. Oz.) plastic bottle and is shipped with 6 bottles per corrugated box case. This 1 liter bottle product is typically used in a wall-mounted dispenser in a commercial context, rather than used in a residential home context. The recalled products have expiry dates between September 2019 (EXP SEP19) and July 2020 (EXP JUL20). 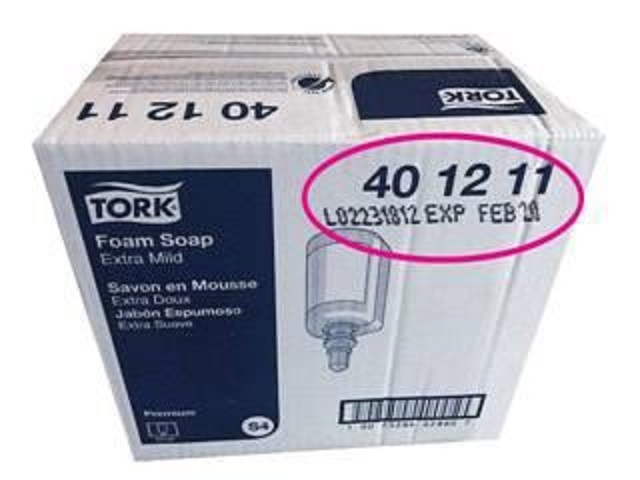 The expiry dates can be found on the shipping box or printed on the back of the bottles. As a soap product, it is intended to be rinsed off, therefore the company has determined that it is unlikely that a health hazard will occur. People with certain health problems including weakened immune systems or chronic lung disease may be more susceptible to infections from B. cepacia. As of October 1, 2018, the company has received no reports of incidents or injury in Canada. Approximately 16,931 cases of the affected products were sold in Canada. The affected product was sold from September 2017 to September 2018. Consumers should immediately stop using the recalled products even if they do not look or smell spoiled. Commercial establishments and others who possess the affected product should contact Essity for a replacement of the affected product. For more information, consumers may contact Essity Professional Hygiene North America LLC by telephone at 1-866-722-6659, Monday to Friday form 7 a.m. to 5 p.m. (CT) or by email.